Last week, Vietnam became the first country to sign a free trade agreement with the Eurasian Economic Union. This comes closely on the heels of some major Vietnamese investment deals in Russia. India would be well advised to follow suit. As a frequent visitor to Vietnam, I have seen the rapid strides the country has been making when it comes to economic development and poverty alleviation. Unlike the chaotic development we see in Indian metros, Ho Chi Minh City is growing in a more organized manner, and one can even see the trickling down of economic growth to rural Vietnam. When it comes to trade with Russia, the Southeast Asian nation is surging ahead. Last week, it became the first country to sign a free trade agreement with the Eurasian Union, which comprises of Russia, Belarus, Kazakhstan, Armenia and Kyrgyzstan. Under this agreement, tariffs are cut on 90 percent of the goods traded between the union and Vietnam. Two years ago, Russia suggested that the best way to increase bilateral trade with India would be to sign a similar free trade agreement with the union. Unfortunately, there has not much been much progress in this direction. At the last Indo-Russian annual summit, the countries agreed to set up a working group to explore an agreement. There’s no reason why the Eurasian Economic Union and India cannot have a free trade agreement. The bloc of former Soviet states is not a competitor for India in any way and their economies have a degree of complementarity. Sources from the Russian side say some of the Central Asian countries are apprehensive about signing a comprehensive economic partnership agreement (CEPA) with India, since the latter will (justifiably) insist that services should be included in the deal. India’s northern state of Kashmir is geographically closer to several Central Asian cities than it is to Kerala and Tamil Nadu. Opening up some of the former Soviet republics to a free movement of goods, service and people, would benefit both India and the republics that depend heavily on the health of the Russian economy. The greatest beneficiary of a CEPA between India and the Eurasian Economic Union would actually be Russia. Unfortunately, both the Indian government and the Indian business community tend to drag their feet when it comes to trade with Russia. There is always some excuse or the other. In the early part of this century, Indian businessmen complained about so-called dubious letters of credit for Russian banks, while Western companies seemed to have no problems and closed in on the lucrative market. This decade, the complaint was the difficulty in obtaining a Russian business visa, and even when the Russian government simplified the procedures, the excuses piled up. The common complaint now is about the bureaucracy and red tape in the country. On the contrary, over the last few years, Russia has surged up the global ranks of ease in doing business. India’s competitors have taken due advantage of the easier business environment. Vietnam recently managed to pull off something that India should have thought of years ago. A deal was signed last month to establish a Vietnamese industrial corridor in the Moscow region. Under this deal, Vietnamese companies will process seafood, manufacture garments and set up other small scale units in the cluster and Russia will provide land, infrastructure, incentives and work permits. This is truly a win-win situation for both countries. 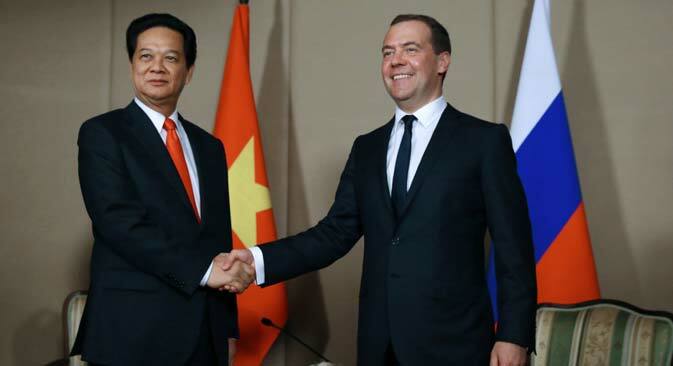 Vietnamese investment in Russia could touch $4 billion this year. All India can really boast about when it comes to investment in Russia is the Sakhalin-1 project, something that dates back to 2001! It’s only when there is an increase in two-way traffic between nations that trade will get a boost. Now, we have three airlines operating direct flights between New Delhi and Moscow, although it is cringe-worthy to note that Mumbai still has no direct air connections with the Russian capital. There is a much greater interest in Russia among Indian travellers and tourists and this is reflected in the unprecedented rush for Russian visas this year. In fact, this year, India made the list of top 10 sources of tourist arrivals to Russia. Business travellers among them will no doubt see that there are very good opportunities to invest in Russia. The Indian government and business community, however, need to wake up from their slumber and move in on Russia while the opportunity presents itself. Vietnam quietly made its moves and is bound to reap the benefits over the medium to long term. Hanoi believes that bilateral trade between Vietnam and the Eurasian Economic Union could reach $20 billion from the present $4 billion, in a matter of ten years. No prizes for guessing in whose favour the balance of trade would be.